Launched in 2019, Cashmo casino is owned and operated by Intouch Games Ltd. On the front page, large banners invite players to partake in welcome bonuses and chasing after the mega jackpot. Utilising a pretty mixture of grey and gold, the website is easy on the eyes –and- easy to navigate! Cashmo has a single license by the United Kingdom Gambling Commission. The casino uses 256-bit TLSv1.2 Digital Encryption to protect all of your data and online transactions with the company. While you can access the website and play the games on desktop, it was designed as a mobile casino. This is reflected both in the chosen design, and the fact Cashmo demands your phone number when registering. Unlike many other casinos, a small selection of quality trumps a wide net of quantity. Per their own website, they offer original slots that you will only find on other Intouch Games casinos. Every available title at Cashmo is part of the progressive Mega Jackpot prize fund, and can grant a juicy win. Still, gamblers hoping for a variety of providers will have to search for another operator to suit their needs. The number of available promotions as of the time of writing this review were numerous! No deposit free spins, refer a friend, deposit matches and free spins for newbies, and even weekly bonuses. Each new release is also accompanied by a tie-in promotion to draw players in. Cashmo casino carefully prods and pokes each release before releasing it, choosing to focus on quality over quantity. At the time of writing this review, a total of 27 games are available on the platform. All of them fall under the video slot category. So, if you enjoy table or arcade games, or live casino titles, you will probably want to skip this casino. But if you want some new slots to enjoy, then Cashmo has you covered. The operator only hosts video slots made by their parent company, Intouch Games. This exclusivity means that your choices are far slimmer than they would be in other casinos. The upside is that each game is curated carefully before being released. The upsides and downsides are clear. You get better quality and less clutter. At the same time, if their latest release is not what you wanted, you have to wait until next month. There is no separate category for jackpots, because all slots at Cashmo are part of their Mega Jackpot prize. It starts with a £50,000 seed and keeps rising until it is won. All games contribute a 0.025% of their bet to the jackpot and the reserve pot. With one progressive jackpot across multiple games, you get to play what you want and still chase after that big prize. So while slot players get lots of options, other categories draw no attention to themselves. When this review was written, no table games, live casino titles or arcade games were available at Cashmo. The website does list them in the T&C, so we believe they might make an appearance later down the line. The casino allows deposits from Debit & Credit cards, Skrill, Paysafe cards, pay by phone bill, and Paypal. The number of options is limited compared to other operators, but it covers the most popular methods in the UK. Gamblers can withdraw money from their cashable credit account at any time. All bonus funds are subject to a 40x wagering requirement before they can be paid out. 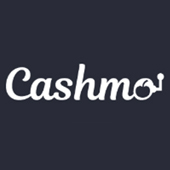 Cashmo will check if the player is of legal age before allowing any withdrawals from their website. If gamblers did not make a deposit, there is a £30 minimum withdrawal limit, or £50 in case of an available promotion. Depositing players can expect their withdrawals to be processed within 3-4 working days. Non-depositing gamblers, meanwhile, have to wait between 10-12 working days. All player funds are kept on a separate Natwest bank account. Its balance is also higher than current Cashmo customer balances put together. Natwest Bank cannot combine this account to any other account by the casino. However, in case of insolvency, the funds are not guaranteed to be re-paid to gamblers. Cashmo has a single license by the UK Gambling Commission. As a result, only players from the United Kingdom and the Republic of Ireland can register and play. With strict UKGC rules, gamblers can rest easy knowing the casino is fair and safe. The operator utilises a 256-bit Transport Layer Security v1.2 Digital Encryption to keep personal information and transactions safe. Cashmo requires an opt-in before sharing your personal data with third-party companies for marketing purposes. Gamblers may contact the casino through several means. They can call directly or request a call back, contact support through live-chat, send an e-mail, or a text message. We like the wide variety of options, and we hope other operators follow suit. There is also a rather expansive FAQ available on the website that covers a great deal of information. We were pleasantly surprised how much information was available in it, and how easy it was to navigate. Cashmo casino is active on Facebook, and plan to soon start weekly competitions for free stuff and bonuses. If you plan on signing-up, we do recommend following their facebook page, too. Players are faced with a rather simple decision when planning to register at Cashmo. Do you want lots of slots, or a few curated choices? The small library is both a blessing and a curse. Since each game contributes to the same jackpot, you can hope to win it while enjoying your favourite title. The casino also demonstrated a serious commitment to user security and privacy, which we always rate highly. That said, if you are not a fan of Intouch Games’ library, you will find nothing else at Cashmo to draw you in. The lack of anything but slots also guarantees your players will have accounts at other casinos. And once they are already there, getting them back is much more difficult. The nice thing about the website is that it gives you access to demo versions. If what you have read so far sounds intriguing, go to their website and try their slots. If you like what you see, then register and enjoy yourself. Otherwise, skip it for greener pastures.